Information on how I set up a [relatively] maintenance-free, reliable and cheap way of getting Netflix on my PCTV (PC connected to my TV), and any other PC on my network or connected to my VPN. Non-exhaustive steps on how to do what I have done. For moderate to advanced I.T. nerds. A detailed step-by-step howto on setting up a VPN tunnel, proxy or any other way to get Netflix which is covered a million times on the internet and can easily be found if you Google it. Not a way in which you can get free Netflix. Not for amateurs! This can be quite challenging, but worth it in the end if done properly. There are many ways of getting Netflix in Australia. The easiest (and possibly cheapest) is to use one of the various HTTP proxy services based out of the states (or wherever you can get Netflix). But this solution didn’t bode well with me because I already have a VPS in the States and could just use that and I did not want the hassle that comes with setting up one of those accounts. I just wanted something to work all the time and be accessible to me from any of my PC’s in the house and even over my own personal VPN (ie. from work or anywhere else that has internet connection). This solution is far from the best or the simplest, but it works very well for me and most importantly is flexible and survives reboots without any need to connect to anything or type passwords etc. This means anyone who wants watch Netflix while i’m not home can do so without any hassle. This step can be broken down further in to two sub-steps. Get yourself a cheap VPS (Virtual Private Server) hosting package with servers hosted in USA. I pay about $35USD/year for my VPS server and I use it heavily and not just for Netflix (more on that later). Pro tip: When searching for a VPS hosting company, see if you can find discount coupons for them too. My hosting package I got for 50% discount thanks to a coupon I found online. The coupon is valid for the life of my account. A VPS is basically a VM (Virtual Machine) that shares a bare metal machine with many other VMs in a hosting server and is given a public IP address. Because it shares the same hardware as many other VPS’s it’s cheap to run and in turn cheap for you. What makes it even cheaper is that you choose what OS you want installed on it and the console session is pushed out to you over IP. The VPS is a vanilla OS install and all configuration is up to you. The entire process of deployment and provisioning the VPS is entirely automated and because there are no maintenance agreements on the services that you install and run they are as cheap as chips! If you break something, you simply start from scratch. The down side here is that you need to know what you are doing on them. So assuming that you know all of this, let’s get started! The above will allow UDP connections on port 1194 (this will be for our VPN tunnel) and TCP connections on SSH port 22 for remote access. The default policy will then be set to DROP. The above will NAT/PAT connections out interface eth0 (assuming this is your internet-facing interface). Then allow all packets to be forwarded in and out of the tunnel interface which you will make soon. All other packets to be forwarded will be dropped. All self-sourced outbound packets are accepted. After you installed OpenVPN build a CA, then build a server certificate and client certificate and sign them using the CA you just built. Build diffie-hellman. I won’t go in to details on how to do this, you can just Google it. There is a great step-by-step document on this on the OpenVPN site. So now that you have the server waiting for connections, you need to set up the client. I have a Linux router at home which has two interfaces. One connects to the internet via my cable modem (which is bridged so is effectively acting as a media converter) and the other to my internal Ethernet network. The last line is needed for source-based routing and will be explained later. So we want only the traffic that is coming from the Windows XP VM to be tunnelled through to the VPS in USA. All other traffic goes out the internet locally as normal. To do this we need to tell the Linux router to keep an eye out for any packets that have a source address of the Windows XP VM (let’s say it’s 192.168.1.1) and if it sees this packet to then forward it down the tunnel. The above will match any packets coming from 192.168.1.1 and apply USAtun routing table instead of the normal routing table. The USAtun routing tables says “any packets than I see I will route it out interface tun1” (Step 1b above shows that tun1 is the tunnel interface used by the OpenVPN client to connect to the VPS). To verify your settings you can ip route show table USAtun or do a tcpdump to verify the packets are going out the tunnel. Now, on the other side (on the VPS) you need to add a return route and open the firewall to the traffic using iptables. I’m using KVM hypervisor on my CentO 6 Linux server at home. You can use anything really, even an actual PC (although that would be silly, considering that we are trying to keep this as maintenance-free as possible). The VM is configured with two interfaces on the same network. The first is 192.168.1.1 as explained above and the second is 192.168.1.2. The second interface is the one that is used on the internal network for your PC’s to connect to the proxy service on the VM. Note: The VM is set to forward and translate (NAT) and also has a proxy service. I use this VM for many things and Netflix is just one of them, so you may want to set it up a little differently. The 192.168.1.1 interface is configured with a DNS and gateway (internal IP of router). The 192.168.1.2 interface is not configured with a DNS or gateway. – Install proxy software. I’m using a free one called CCproxy (v7.2). Works great with minimal configuration. On the PC you want to watch Netflix go in to the browser settings and set the proxy to 192.168.1.2 and whatever port you configured CCproxy to listen on. You should be able to watch Netflix now (you still need a Netflix account though!) and so long as you have your VM set to auto-boot, OpenVPN set to connect on boot and CCproxy (on the VM) set to start on boot then this set-up should survive reboots and continue to work. The great thing about this is that you can use it for just about any sort of tunnelling. I personally have PlayOn installed on the XP VM and also use it to tunnel a bunch of other things. It doesn’t matter which protocol or port is used, the VM will handle it all. I also used it to tunnel the Olympics stream live from BBC through another VPS I have in the UK. Although it takes some time and effort to set all this up, the amount of flexibility and ease-of-deployment it gives you afterwards is worth the trouble, IMHO. Please ‘like’ this post if you found it useful and share with your friends! If you have any questions, would like me to clarify certain steps or have your own suggestions please leave a comment. I usually reply within the day. Yes I have an ADSL2+ router (TPLINK). i wen through your guide i new that you are installing VPN server in the VPS host, but could not get the Linux Router and the Windows VM and proxy. i did understand that you wanted to send certain traffic ti the tunnel. can you explain whether i could use this at my home and i did not understand how you configured the proxy and the need in the setup. You can certainly configure it with what you have, but it won’t be as seamless and maintenance-free as what I have written in the blog entry. The point of this was to make things easier in the long run (although a little more complicated to set up). To do it the way you want there are likely a few ways. But the easiest would be to set up one endpoint of the VPN on the VPS, and the other endpoint of the VPN will be on your Windows PC. Your PC will tunnel *ALL* traffic through the VPN tunnel and VPS/VPN on the other end will NAT. 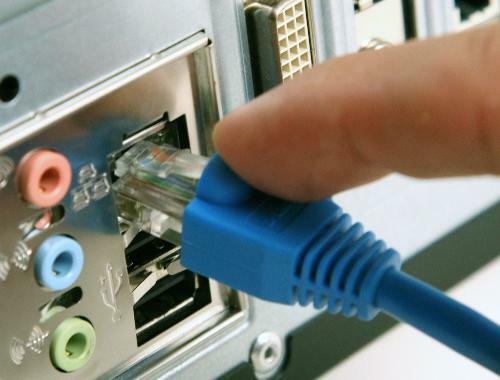 This way it doesn’t matter if you have a TPLINK modem/router and you won’t need a proxy. The down side of doing this is that *all* your traffic will go through the VPN (including your Netflix traffic). So your normal internet will likely slow down. One way around this would be to only tunnel Netflix IP subnets through the tunnel, but I dont know what those subnets are. – Once you connect to your VPS VPN then your gateway on your Windows PC will be changed to the VPN’s IP, and all your traffic should be pushed through the tunnel. Go to google and search for “whats my ip?” and see if the IP has changed. If it has, then you should be able to stream Netflix.